Wilmington has launched the Parkmobile payment option for metered parking in downtown Wilmington. Motorists can pay for parking through the Parkmobile phone app at approximately 1,000 metered spaces in downtown Wilmington, Delaware. Wilmington has entered into a partnership with Conduent and Parkmobile, LLC to make the Parkmobile app available to everyone at no cost to the city. In addition to paying for metered parking with their mobile phone, users can receive a reminder before their meter expires so they can extend their time with a few taps in the app instead of walking back to the meter. Two-hour time limits still apply. There is a 30 cent transaction fee charged by Parkmobile for the use of its technology. However, should you decide to add money to a meter which has not already reached the two-hour limit, you will not be charged another transaction fee. The new service also tracks the time you arrive at a parking space and how long you’ve paid to park, which will help settle disputes from parkers who say they were ticketed with time and money remaining in their meter. Parking enforcement officers will use their handheld devices to confirm whether a customer has paid with Parkmobile. All of the city’s downtown meters will also allow users to continue to pay for parking with coins or a credit card if they choose not to download the Parkmobile app. Parkmobile signage that displays zone information and additional details has been added to all parking meters. To set up an account, you can register free on the Parkmobile app or at www.parkmobile.com. 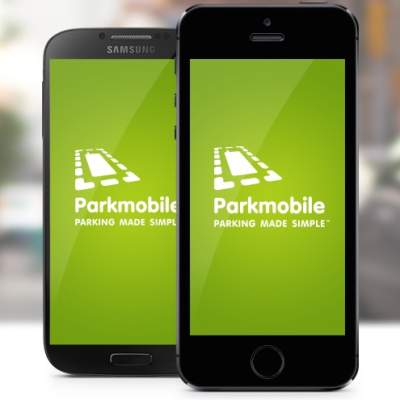 Once registered, you can immediately begin paying with Parkmobile either by using the app for iPhone, Android, or Windows 7 phones or by calling a toll-free number. Customers simply select their parking zone (which is actually a city block), license plate, card information, and length of stay. With more than seven million customers and over 45 million transactions annually, Parkmobile is the most widely used mobile parking solution in the country and is available at nearby locations including Bethany Beach, Dewey Beach, Rehoboth Beach, and Lewes Beach as well as in New York City, Washington, D.C., and in the near future Philadelphia.